Ankara has withdrawn a 130 percent tariff on Russian grain following the meeting between Russian President Vladimir Putin and his Turkish counterpart Recep Tayyip Erdogan in Sochi. 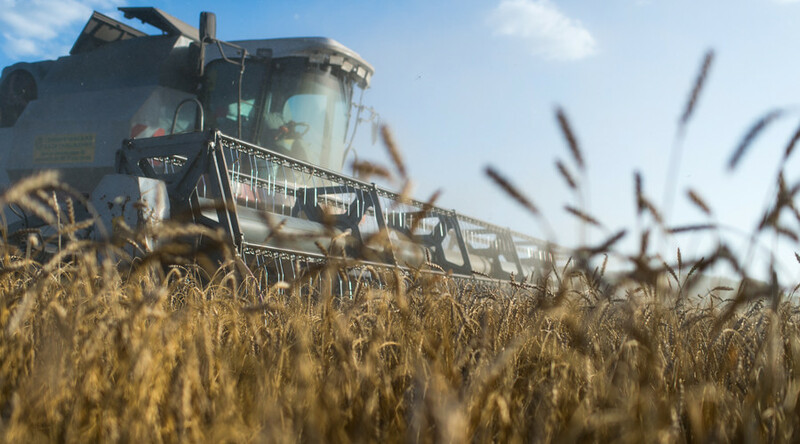 Russia will resume exporting wheat to Turkey without restrictions starting from Thursday, Turkish Economy Minister Nihat Zeybekci told Bloomberg. Turkey introduced the tariff on Russian grain in response to Moscow's ban on Turkish tomatoes and other produce following the downing of a Russian jet in Syria in November 2015. While Russia risked losing its second biggest buyer of wheat after Egypt, Turkey had faced higher prices elsewhere. The Wednesday meeting in Sochi between Putin and Erdogan did not solve the issue of Turkish tomatoes. Putin said Russian farmers have taken out significant loans to boost domestic production and construct greenhouse facilities, so lifting restrictions now will hurt them. However, Turkey will sell tomatoes to Russia in seasons when the country can’t grow sufficient amounts. Before the deterioration in relations, 70 percent of Turkish tomatoes were exported to Russia. Ankara’s apology and the subsequent thaw between the countries failed to settle the issue. In March, Russia lifted the restrictions against Turkish onions, cauliflower, broccoli and some other vegetables, explaining there is a lack of these food items in Russia. 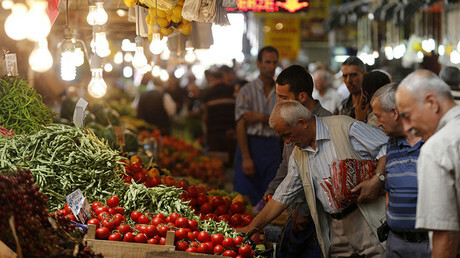 Turkey complained that it's only a fraction of tomato sales. “Russia raised restrictions on some products that totaled $19 million. That’s the value of what’s exported by one little company," Turkish Foreign Minister Mevlut Cavusoglu told Bloomberg in April. Turkey has failed to replace the Russian market, and its farmers are facing hard times without exports to Russia. “We cannot survive without the Russian market. 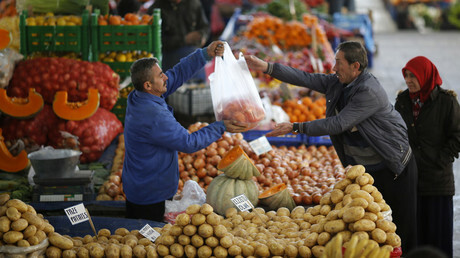 Wastage rates have never been this high,” Munir Sen, the head of the association of fruit and vegetable brokers in Mersin, a city which has Turkey’s biggest seaport, told Bloomberg.